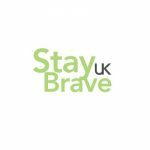 Stay Brave UK exists to bring a voice to those who have suffered from domestic, sexual and intimate abuse. Our mission is to prevent, combat and eradicate all forms of domestic, intimate and sexual abuse by educating, raising awareness and changing the mindset of the public for the greater good of all victims of intimate abuse. Men, LGBT and non-binary people can face discrimination when accessing services, and we believe that needs to change. We believe that everyone has the right to live free from intimate violation and abuse and that the protection of this right should be secured without discrimination on any ground.